My (and everyone else’s) summer drink, the Aperol Spritz, has been consumed in many different ways. But I think I have found my favorite… the slushee. I may never drink anything else again: this slushee is the most incredible, light, fruity, delicious, buzzing, refreshing, oh-so-good drink. It is truly perfection. It is even better than it looks. SERIOUSLY, so good. For the first time since college, I started drinking beer this past week. The last time I drank a beer was probably when I was shotgunning it just so I could get alcohol in my system rather than because I enjoyed the actual taste. But during our Orcas Island week, I was introduced to Sour Beer by my brother and sister-in-law. It is a perfect combination of Kombucha and Beer — makes you feel like you are drinking kombucha but with an extra dizzying aspect. I love it and recently have found myself craving them in the afternoon…. 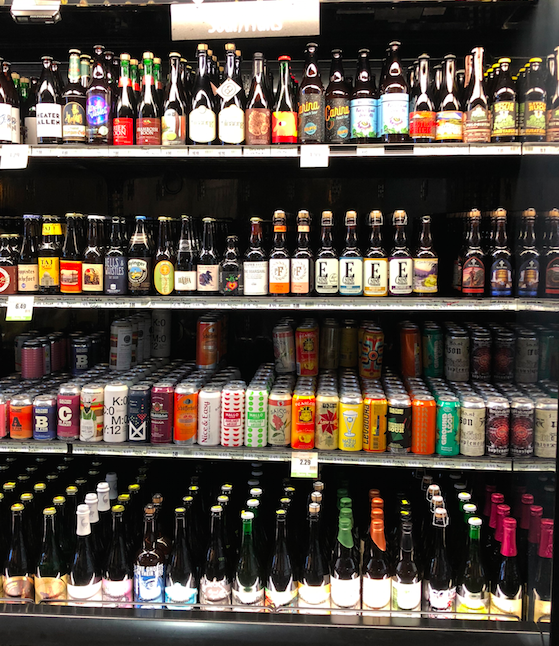 Luckily, Oregon is known for its microbeers, and here is a picture of the SOUR BEERS in the local grocery store. As a novice, I had no idea what to get or what to buy….so I picked this one. 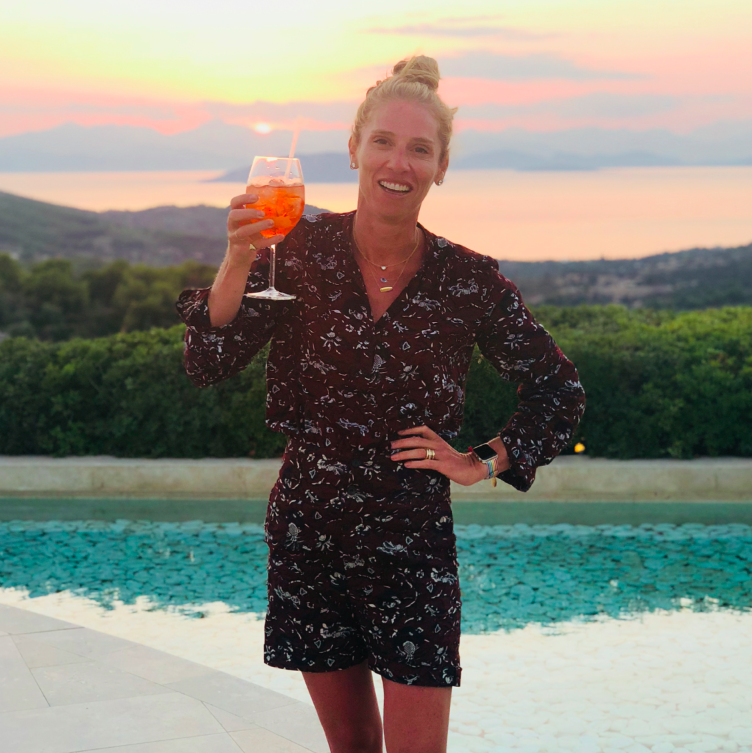 Although late to the game, I am now fully invested in the summer “It” drink, the Aperol Spritz. Last year, I saw the bright orange drink everywhere I went, but never tried it. I started during our recent trip to Europe, and now I can’t stop. 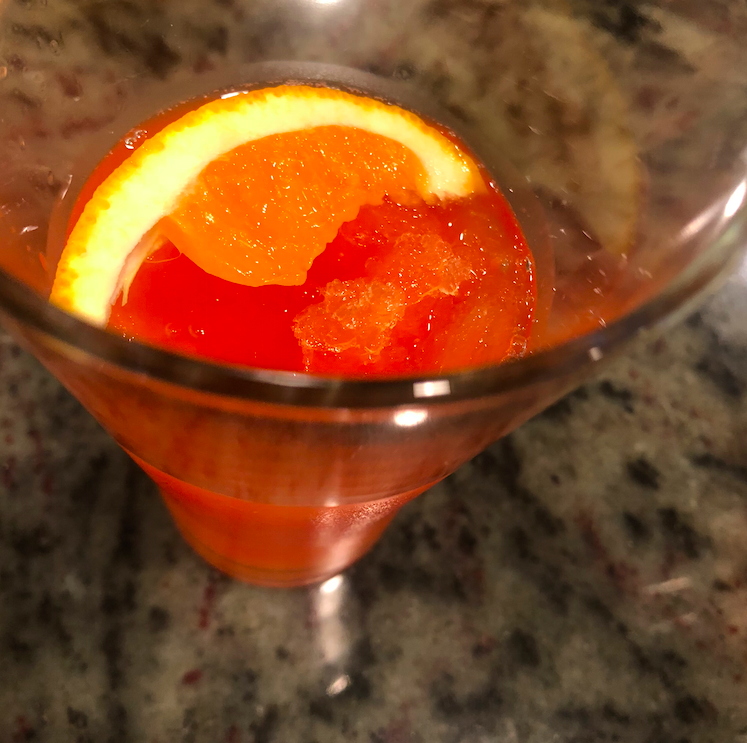 Aperol Spritz is made with aperol (a liquor), prosecco, a splash of soda, and some fresh orange. It is refreshing, zesty, sparkly, and basically makes you feel like you are drinking an orange Fanta. OH SO GOOD. Yes, I am a dufus. But can’t stop, won’t stop. I haven’t drunk a beer since college when I would chug them, so I was pleasantly surprised to try a grapefruit beer and actually like it. Love it, to be honest. It is girlie, refreshing, and tastes like grapefruit soda with a hint of beer. So you lose a little edge but still hydrate — win win! 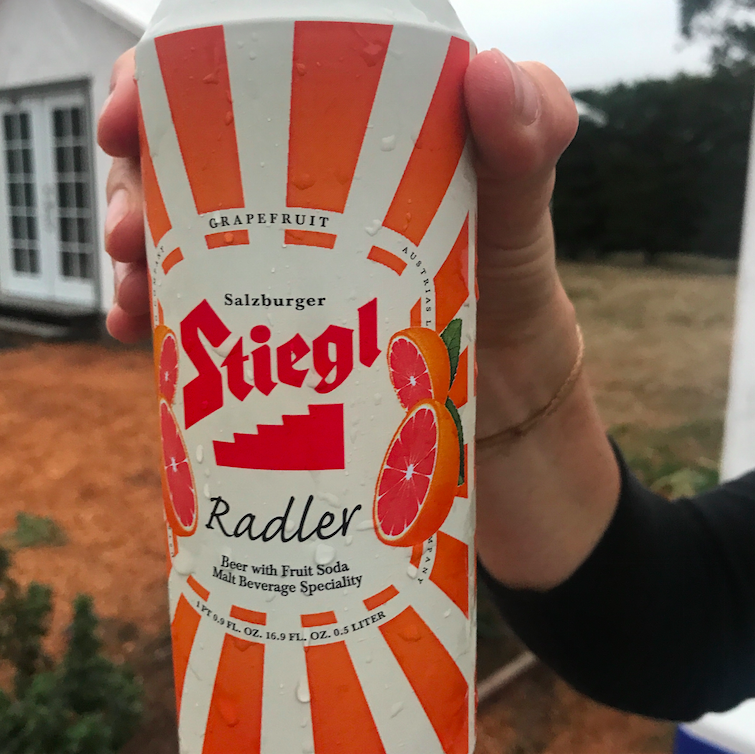 I have actually had two different kinds of grapefruit beer: from a can (as pictured) or from a bottle. Equally good and crisp! My love of Oregon runs deep; as I am a sucker for anything that comes from Oregon or looks like it is FROM Oregon. 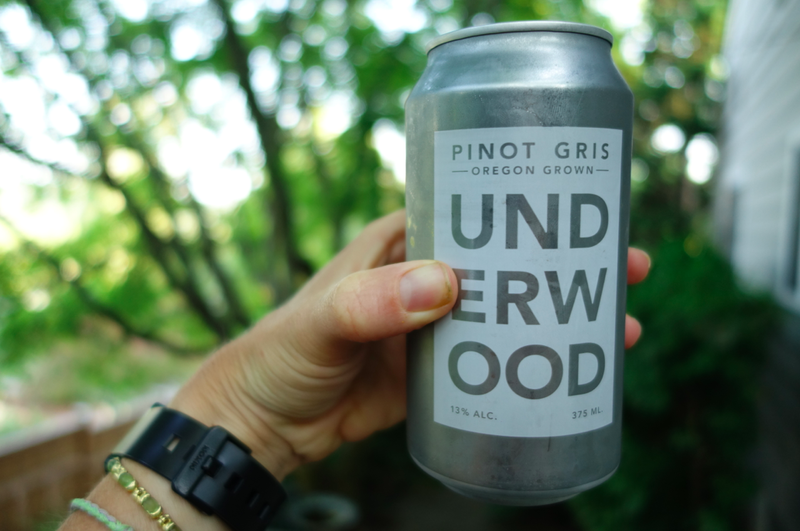 So I am giddy that Union Wine (an Oregon company) is now sold all over the country. 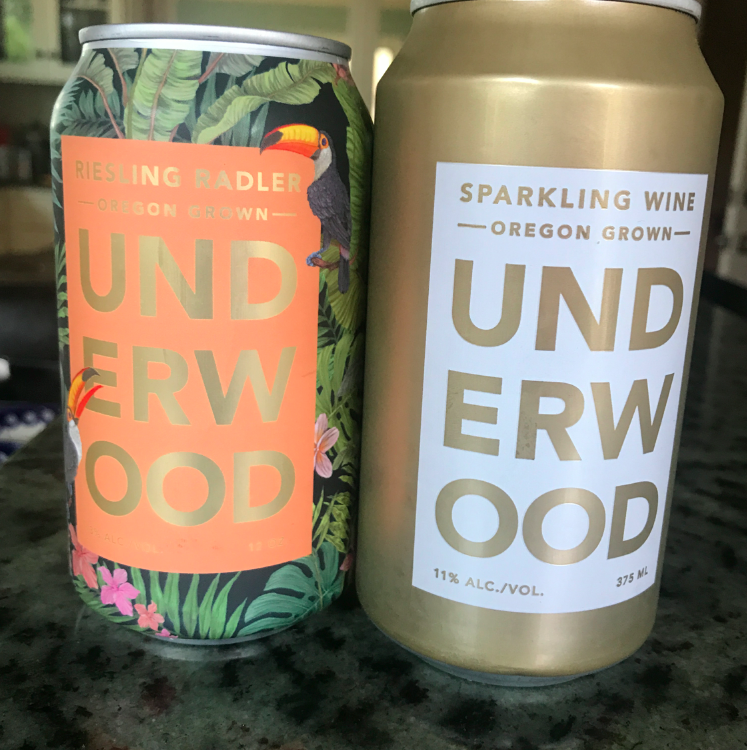 Union Wine (Underwood) has been selling wine in a can for quite some time and has always been my go-to-dinner-party-gift, but now they sell SPARKLING WINE and RIESLING in a can, and I can’t control my happiness. Last week when visiting my sister in Portland, I visited a grocery store (truly, my favorite hobby) and I came across these new cans and I am sold. Pretty! And you can order them online, here. I think these are the prettiest cans I have ever seen. SO SO pretty and feminine and fun.